Sports announcers are basically professional natterers. You could say they're no one's favorite part of an event, but there's a huge exception to that. 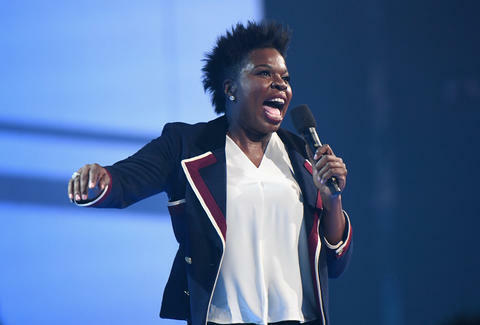 That's when Leslie Jones is providing insanely enthusiastic commentary on the Olympics. And lucky for the citizens of Earth, she will once again be gracing us with her unique athletic insights. The Saturday Night Live and Ghostbusters star will be joining NBC in PyeongChang, South Korea for the XXIII Olympic Winter Games. She became an Olympics icon back in 2016 when she began musing on the Olympics via Twitter. You'd do well to watch all of her posts, but we'll round up a few of the best below. Impressed by her commitment to live-tweeting, NBC flew Jones out to Rio de Janeiro back in 2016. She joined the official coverage then, and the world loved it. The games are now a week out, and NBC just announced that Jones will be back again this year in Pyeongchang. The games start on February 9, but NBC's coverage starts on February 8.